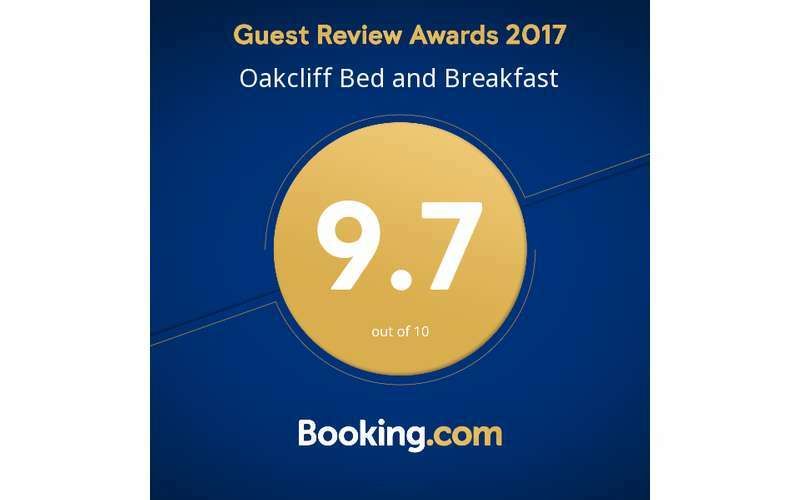 Rated 9.7 on Booking.com for overall experience, Oakcliff Bed and Breakfast is a waterfront establishment committed to offering the best cuisine, richest culture, and maximum comfort. Sleep like Kings and Queens within fine Italian Egyptian cotton linen, feather beds and down pillows. Wake up to a hearty breakfast in the Dining Room, overlooking the Mohawk. 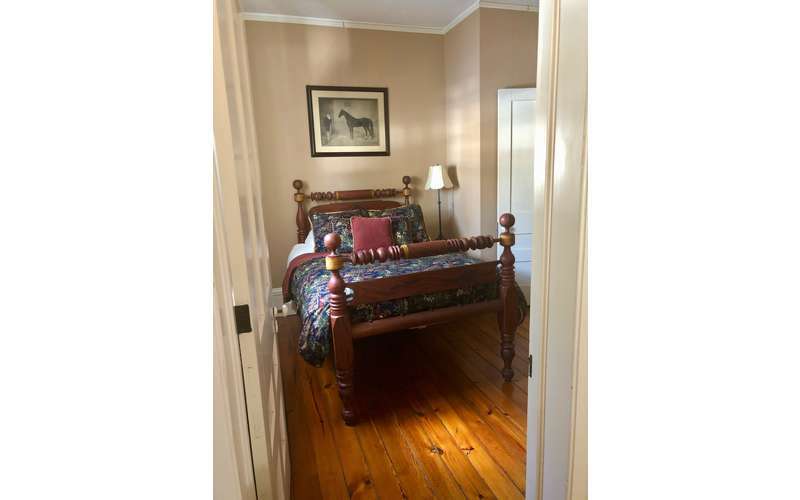 We guarantee a memorable and restful stay in the peaceful setting of Oakcliff. 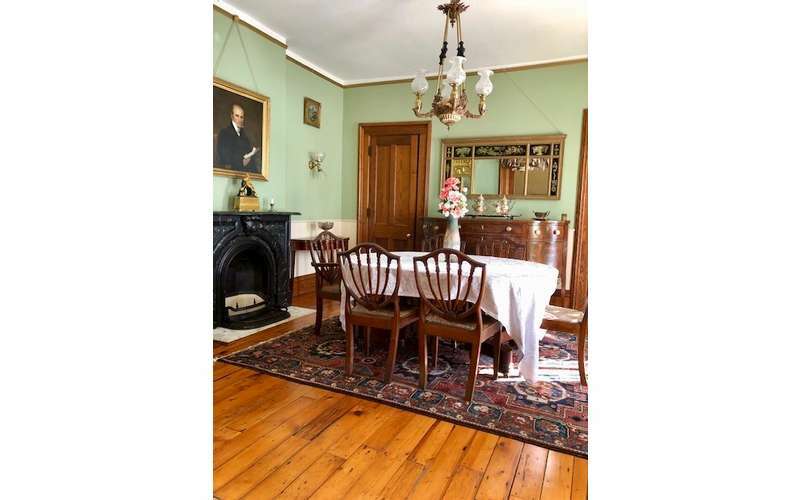 Oakcliff Bed and Breakfast prides itself on preserving the past for guests to feel as though they have stepped back in time. 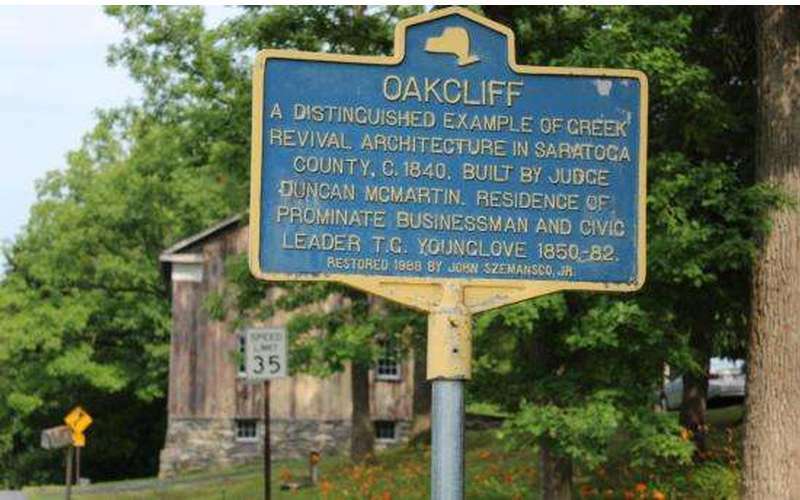 Four presidents have stayed here in the past -- Grant, Hayes, Arthur, and Garfield – all friends of the former owner and first speaker of assembly, T.G. Younglove. Step inside and surround yourself with fine period antiques and the rich music that drifts from our Steinway Duo-Art Grand Piano. Wake up to the heavenly smell of gourmet coffee brewed daily and freshly-squeezed orange juice. Every breakfast is tailored to your dietary needs, whether vegan, vegetarian, or gluten-free. Oakcliff Bed and Breakfast serves only the finest local goods. All pastries and breads are hand-selected locally. 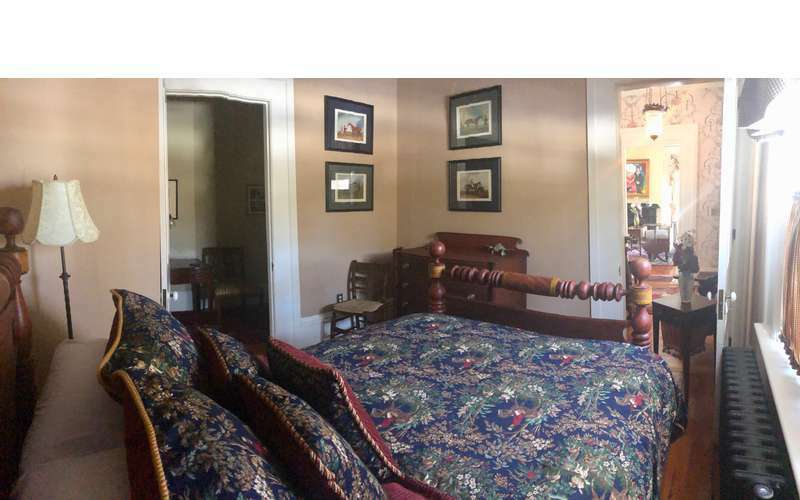 After a few nights at Oakcliff Bed and Breakfast, you won’t want to ever leave! 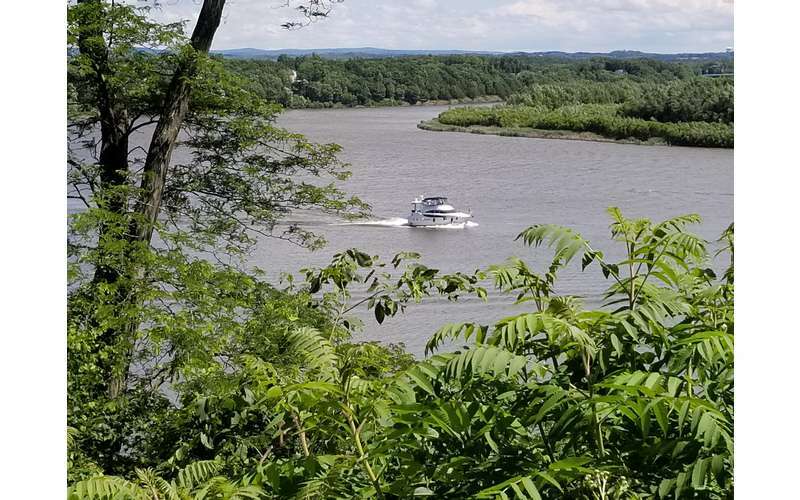 Our grounds are privately located and offer one of the best views of the Mohawk River. 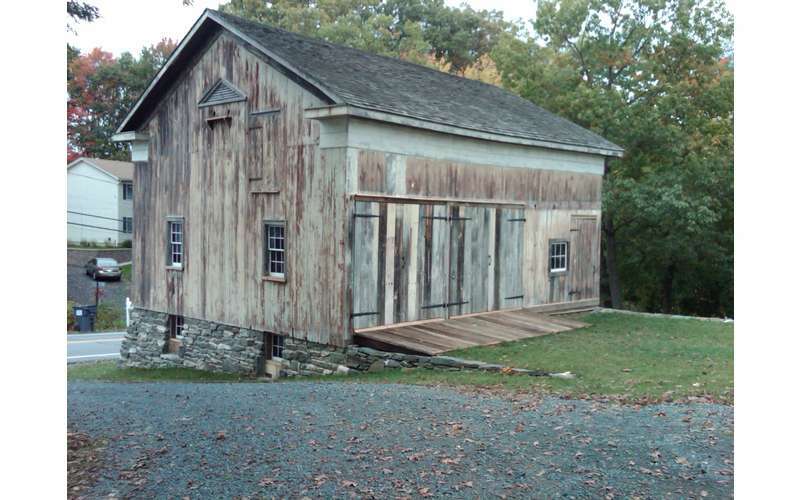 Read a book on a cliff-side hammock, stroll along our dockside path, or pour over the very same library General Grant once sat in when conversing with T.G. Younglove. Each room has its own Victorian marble bathroom, one with a jacuzzi for a spa experience that can be reserved on-demand with no extra cost. 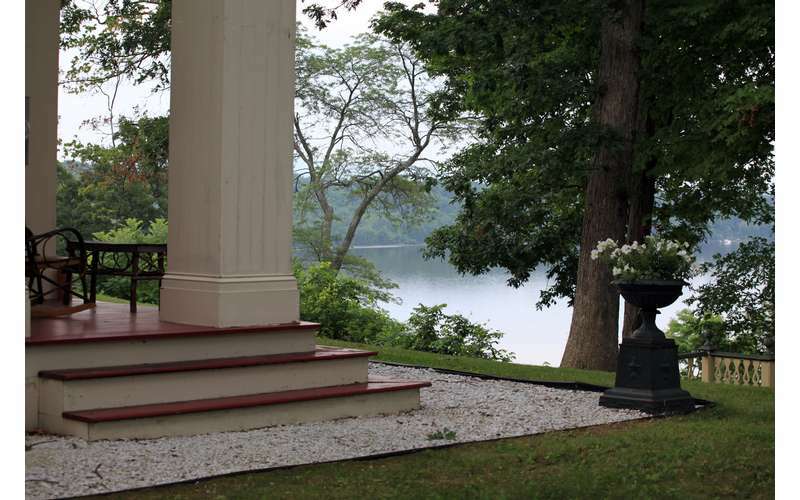 High speed, wireless internet is available throughout the entire estate. All rooms are air conditioned with TV and free movie rentals. Visit our website today for more info! 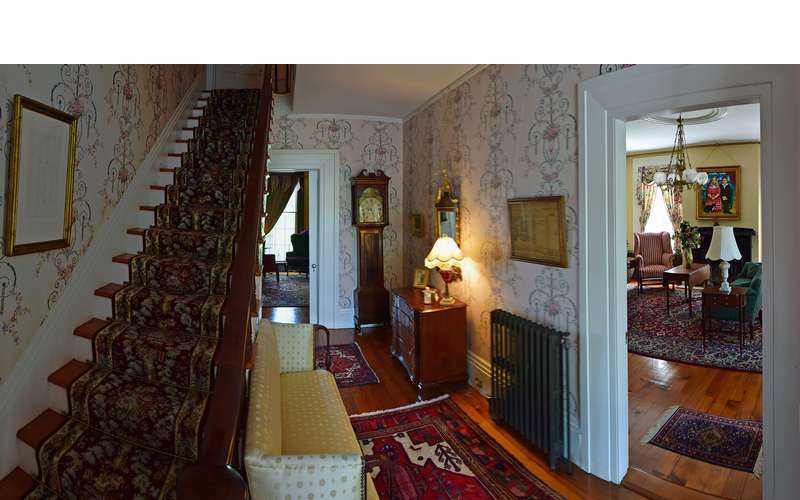 My overnight stay in this historic mansion was absolutely lovely! 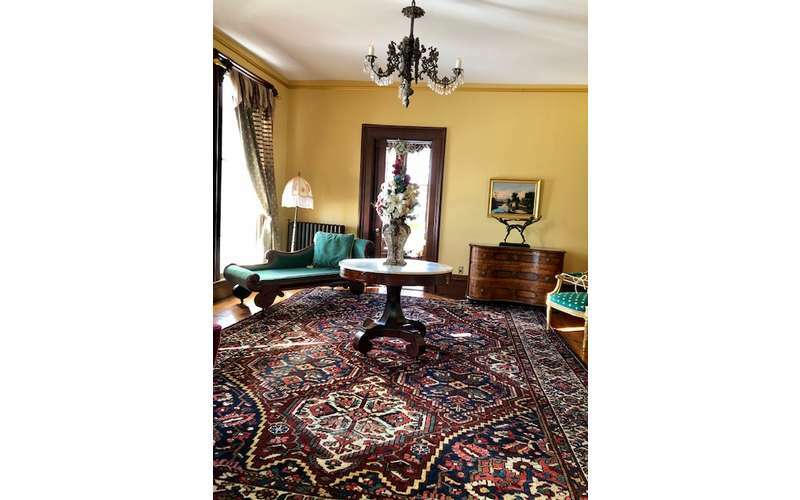 The home is comfortable, relaxing, filled with rich history and beautiful furnishings. Very clean, spacious and the bed was quite comfortable. John is welcoming, flexible to accommodate my schedule and serves a fresh, made to order breakfast. Wonderful stay! 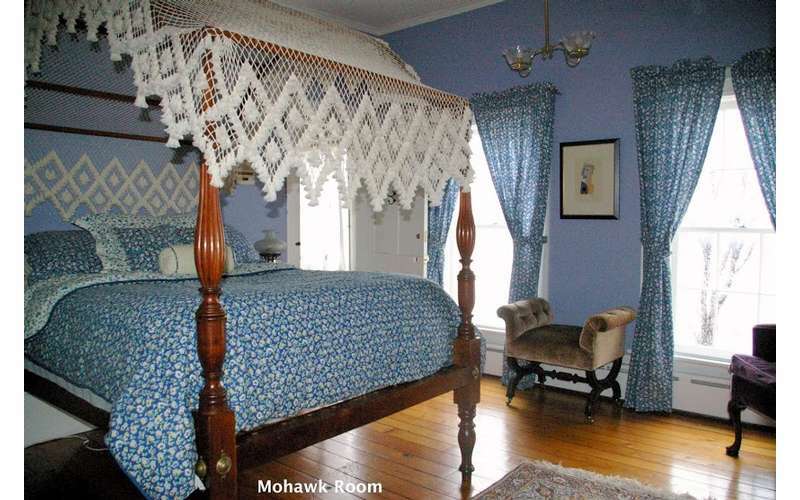 Enjoyed our stay in this lovely, historic home on the bank of the Mohawk River. John is friendly and strives to please his guests. He is helpful with dinner recommendations as well as informative about things to do in the area. Breakfast is great, we went with the chef's choice omelette one morning...it was delicious...chock full of veggies. 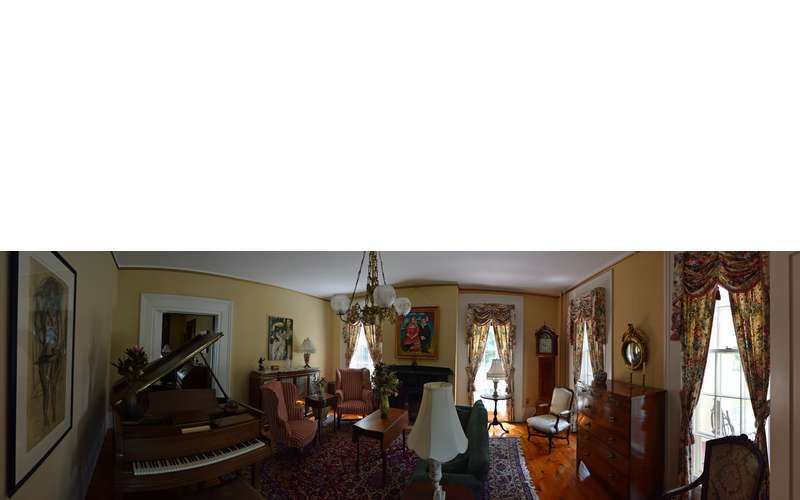 Gorgeous 1800s mansion right on the river. 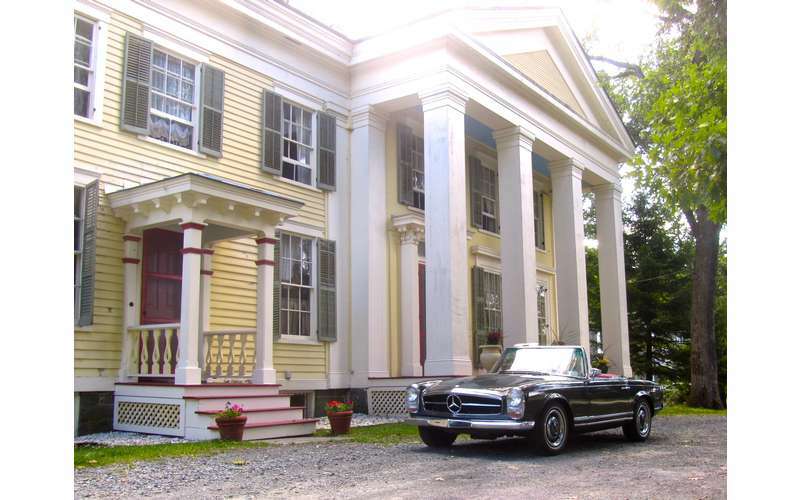 We stayed here because we needed something close to Albany and Saratoga for the weekend. This place is from a bygone era. We felt like we were in a movie- every detail (down to the music John played over breakfast) was perfect. 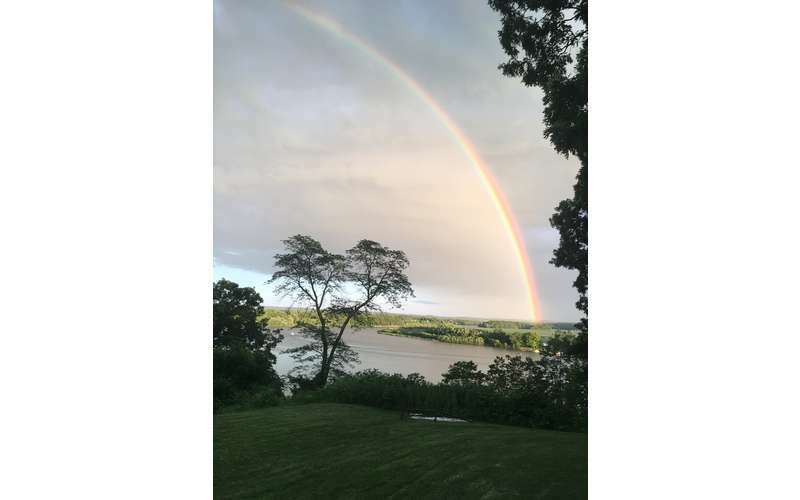 Great views, cozy furnishings and excellent conversation with guests and our Innkeeper; enjoyed the location and our stay.